Excellence Physiotherapy London only employs exceptional and talented physiotherapists, osteopaths, personal trainers, pilates instructors that have qualifications and proven experience in their field of specialism. … experience in the various fields of physiotherapy. Noellie has received her diploma in 2015 and went straight to work in a private practice. She sustained a long-term position as a locum in the paediatrics department, where she treated respiratory dysfunction, torticollis and baby flat head, before taking a position in a specialised practice dedicated to sports injury rehabilitation, orthopaedics, neurology and post-surgery rehabilitation. This same practice gave her the opportunity to gain experience in pelvic rehabilitation and develop a particular interest in women’s health. Since receiving her Diploma, Noellie has steadily developed her professional skills: she has been trained in post-surgery rehabilitation for breast cancer patients, pelvic floor rehabilitation, and has learned to use hypopressive method to treat abdominal separation. Noellie will put her experience and knowledge at your service treating patients at Baby’s Physio, Mummy’s Physio and London Home Visit Physiotherapy in our Physiotherapy practice in Moorgate EC2, Belgravia Westminster SW1, Clapham SW4 or at home. Noellie speaks English and French. … surgery care with 9 years of experience in physiotherapy in Spain, France and Guadeloupe. In Spain, she worked with neurological disorders and Cerebral Palsy patients collaborating with a specialised program for 2 years. She moved to Paris in 2010 working in Neurological and Orthopaedicsand post surgery rehabilitation in a private hospital. Vanesa is a Postgraduate in Global Myofascial, Mezieres Method, at the UIC University in Barcelona, achieving posture realignment and pain relief, using global stretching, manual myofascial and joint mobilization (Back pain, Scoliosis). 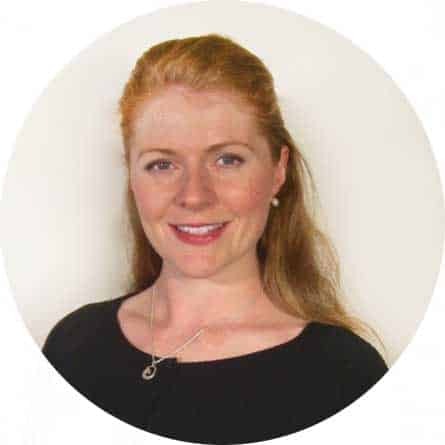 In 2011 she graduated in Pelvic Floor Dysfunction, focusing on in women’s health, post natal care and incontinence. In 2011, she qualified in Paediatric Respiratory care. For the past few years, Vanesa has been working with women, babies and adults in private practices in France and Guadeloupe. She has been treating pathologies such as Incontinence and postnatal issues in women, feet deformities, torticollisand developmental delays in babies, back pain, orthopaedic and neurology in Adults. Vanesa uses her vast experience and knowledge to treat London Home Visit Physiotherapy, Mummy’s Physio and Baby physio patients in London at home or at one of our practice in Clapham, Belgravia and Moorgate. Vanesa speaks English, French, Spanish and Italian. Magdalena is from Poland. She studied Physiotherapy at the Nicolaus Copernicus University Ludwik Rydygier Collegium Medicum in Bydgoszcz, Poland. She has since developed and earned a lot of experience in various fields of physiotherapy. She is highly trained and has many years of experience in MSK (musculoskeletal) and Women’s Health physiotherapy treatments. Magdalena is a committed, caring and friendly physiotherapist with a great passion in treating people globally. She has previous experience in supporting patients with spinal cord injuries and in post surgery rehabilitation. Magdalena has been a wheelchair rugby referee for 10 years before discovering recently a great passion for women’s health physiotherapy, where she developed her skill and gained a lot of knowledge. Magda speaks Polish and English. GaitSmart – European Technology for Business Holdings Ltd in Codicote where she has treated patients with orthopaedic & musculoskeletal disorders, post surgery and sport injuries. London Wheelchair Rugby Club in London where she has treated patients with sport injuries and spinal cord injuries. The Active Rehabilitation Foundation in Poland where she has treated patients with spinal cord injuries. Dr A. Jurasz University Hospital in Bydgoszcz/Poland where she has treated patients with variety disorders on different wards during placements. Nonpublic Healthcare Centre ‘EximMED’ Rehabilitation Out Patient Clinic and Nonpublic Healthcare Centre Rheumatology-Rehabilitation Out Patient Clinic ‘Reh MED’ in Bydgoszcz, Poland where she has treated patients with orthopaedic & musculoskeletal disorders. Magdalena will put her experience and knowledge at the service of Mummy’s Physio and London Home Visit Physiotherapy at home or in our physiotherapy practices in Moorgate EC2, Belgravia , Westminster SW1 and our physiotherapy practice in Clapham SW4. Margot will put her experience and knowledge at the service of Mummy’s Physio and London Home Visit Physiotherapy at home or in our physiotherapy practices in Moorgate EC2. Margot speaks excellent English and Dutch. Margot has worked in physiotherapy private practices and hospitals in the Netherlands during her physiotherapy studies and after her physiotherapy diploma. Fysiotherapie Hoofdweg in Amsterdam where she has treated patients with urinary incontinence, urinary urgency and frequency, faecal incontinence, constipation, IBS, prolapse, pelvic pain and pre-post natal disorders. Using biofeedback, electro-stimulation, stretching and relaxing techniques and exercise programs. Chronic and acute MSK or sport injuries and post-surgery rehabilitation. With a personal approach for a treatment and exercise plan. Fysiotherapie Woerden in Zuwe Hofpoort ziekenhuis where she has treated patients with neck and back pain program, neurology disorders, MSK, sports and post-surgery rehabilitation. … in physiotherapy treatment. Sophie is an active person with a keen interest in many sports both as a competitor and a spectator. Coming from a sporting background herself, including rowing, netball, running and touch football, she loves treating the active sporting population. Sophie worked in Australia in a sports clinic and a Rugby Club for several years before deviating into women’s health. In particular she enjoy treating the pregnant population through to their post-natal years and helping them get back to their chosen level of activity post delivery. Since starting her women’s health training, Sophie has been very passionate about this population group and feels that every woman should see women’s health physiotherapists following delivery (C-section or vaginal). Sophie has a keen interest in Pilates and often uses Pilates based rehabilitation together with manual skills to give patients an integrated treatment pathway. Northern Suburbs Rugby Club in Australia where she has treated patients with on field soft tissue, bone and joint injuries. Sophie worked on the side line to triage patients and managed them through their acute injuries and then continued rehabilitation in the clinic to prepare them for resuming rugby again. Cindy is from Spain. She studied physiotherapy in: Murcia University. She is highly trained and has many years of experience in physiotherapy treatment. She had the opportunity to learn from specialized Senior Physiotherapist in different areas of physiotherapy. She worked with a wide range of patients with different pathologies, from adolescents to adults, pregnant women and elderly people. Cindy is an enthusiastic and friendly physiotherapist who is passionate in helping people to have and maintain a better quality of life by offering a globalised and personalised treatment. Cindy attend regular specialise training as she enjoy learning new techniques in order to offer her patients the most modern and efficient treatments. Cindy will put her experience and knowledge at the service of Mummy’s Physio and London Home Visit Physiotherapy at home. Cindy speaks English and Spanish. Cindy has attended regular congresses and courses to increase her knowledge in different fields of physiotherapy. Medical Centre in Murciawhere she has treated patients with musculoskeletal disorders. University General Hospital in Murciawhere she has treated patients with musculoskeletal and neurological disorders. … years of experience in physiotherapy treatment for MSK and paediatric conditions. She passed her Master of Science in Neuro-rehabilitation in Brunel University of London, UK and she is specialised in paediatric physiotherapy. She has many years of working experience in paediatrics and she is trained in MAES Therapy, Bobath Therapy-NDT, and Sensory Integration for babies and children. She is a self – motivated, HCPC Qualified Paediatric Physiotherapist with several years of treating paediatric conditions such as cerebral palsy, neurodevelopmental, neuro-rehabilitation, respiratory conditions and early intervention in premature babies. She also works in an adaptable manner depending on clinical presentation of each child and his/her needs and liaising with parents/ carers. Eleni will put her experience and knowledge at the service of Baby Physio, Mummy’s Physio and London Home Visit Physiotherapy at home or in our physiotherapy practices in Moorgate EC2, Belgravia, Westminster SW1 and our physiotherapy practice in Clapham SW4. Eleni speaks English and Greek. NGO Association for children and adults with disabilities in Greece where she has treated patients with neurodisabilities. … experience in osteopathy treatment. Ines enjoys using cranial and functional osteopathy techniques on pregnant and postnatal women and babies, as these techniques are soft while being extremely efficient. Of course she also has a great background and experience treating adults with back, neck or MSK conditions as well as athletes. Passionate and efficient Ines will help you get back to the best of your health on the long run. Crystal Palace Osteopaths in Crystal Palace where she has treated patients with back and neck pain, period pain. Body Alliance in Brixton where she has treated patients with Migraines/Headaches, Jaw pain, Post pregnancy posture, stress. Please list the area you can cover for Home Visits near where you leave and outside central London. … in osteopathy treatment. Caitlin is nearly 9 years qualified. Has worked in a number of different clinic set ups, with other osteopaths, physiotherapists and GPs. Her interests have developed over the years whilst working in these environments, and she has been fortunate enough to receive mentorship, as well as additional post graduate training in Women’s Health – which covers all of the areas of expertise expected from a Women’s Health physio. Her skills also include acupuncture, clinical Pilates, and she is currently part way through a Masters in Sports Medicine, Exercise and Health at the Institute of Sport. Caitlin’s passion for exercise and sports has led her to become an advocate for health, and an expert in getting people back to the quality of life they want.